What is the deal with porters and guides? If you go with a tour operator, you will be set-up with a porter and guide. Porters generally have a limit on the weight that they can carry, such as 30 kgs, so make sure to pack appropriately. You could probably go without a guide, but it doesn’t make that much sense logistically and plus have the extra security in case you get altitude sickness. 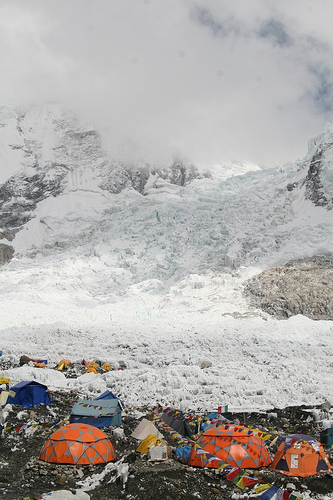 If you are planning to do a trek to Everest Base Camp, you inevitably will be going on some sort of tour. 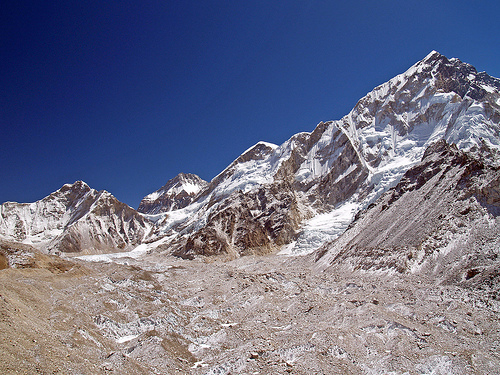 The basic Everest route ranges from 11 to 14 days with some tour operators adding additional days in Kathmandu in the beginning or end. The basic route follows the same path, but the tour operators might stop in different towns along the way. With that said, some tours do take a slight detour. If you have the energy, you should choose the 11 day over the 12 day tour as you don’t see anything different. You can see from the map that the basic itinerary pretty much goes straight to EBC. The main difference from the core route is that some of the tours might stop in different down along the way. They might also do slightly different hikes when you are trying to acclimatize. Visiting the Gokyo Valley will add about 3 days onto the base itinerary. It will also add 15 – 30% to the total cost. Trekking Island Peak can add 4 to 6 days to a tour. It can also add substantially to the cost of the trip. If you want a longer hike, you can start from Jiri as opposed to Lukla. It is also supposedly safer (at least according to Wiki travel) to fly into Jiri as opposed to Lukla. According to one operator, it will add 7 days onto the length of the base trip and 60% onto the cost of the trip. If you stay in Tea Houses, I also heard that it will be very cold. While this trip is not cheap, it could be worse. Since you have made the long flight, I would think twice about going to Gokyo since it only adds a couple hundred dollars. If I timed it right, I would only need to take two weeks off of work. In my opinion, it would mostly depend upon whether I wanted to see anything else in Nepal that didn’t involve trekking. If there are other hot spots, I might skip out on Gokyo and check that out.